Visit our website and Facebook page (https://www.facebook.com/franklindowntownpartnership.org) for updates and information about ongoing changes in Downtown Franklin, and a list of 2015 meeting and event dates. Wednesday, January 7 at 7:00 p.m.
For those who are not able to attend meeting we encourage you to go to Franklin Matters to fill out the survey (http://www.franklinmatters.org/2015/01/survey-says-which-option-on-150-emmons.html). Sadly, the news is true. Artistry Kitchen/AK Bistro in downtown Franklin has closed as of last weekend. While the future of the space is still unclear, we wish the staff the very best. For patrons who have unused gift cards, refunds are available. Call Spencer Waite at 508-530-7440 between 9 a.m. and 4 p.m. and he will refund your gift card. If he does not answer the phone, leave a message and he will return your call. It is with sadness, but much pride that Elissa and I announce that we have left Artistry Kitchen. We have been out of the Bistro since October and fulfilled our last catering responsibilities as of December 31st. The CEO of the company has decided to take the company in a different direction than the one we originally signed on for and therefore we have decided to pursue other opportunities. We are immensely proud of the work we, along with the rest of the Franklin team have done to create what we believed was a wonderful place to experience great food, in a great atmosphere with top notch culinary and hospitality talent. We will always be so grateful to our friends, family and the community for embracing our ideas with open arms and for supporting us every step of the way. This journey would not have been the same without your constant words of encouragement and the many visits you paid to us over the last few months. It has been a very difficult decision to walk away from Artistry after putting so much love, sweat and tears into the project. However, when faced with the prospect of changes that WE believe would compromise the integrity of what was built, we knew it was the right choice. We are looking forward to our next adventure and hope to share the next chapter with you very soon! Rick decided not to sign a new 10-year lease. He felt that 10 years was too long of a period for him to commit to. We wish him and his staff all the best ... they will be missed by so many. Any FDP Business Member who may need assistance with writing a business or marketing plan -- this is a unique opportunity to work with the business students at Dean College to help write or update your plan. Note: It is a first-come, first-serve opportunity as they only have room for 3 or 4 businesses. 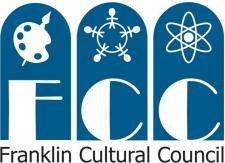 If you think you may be interested, email the FDP office at downtown.franklin@yahoo.com this week.